McLaren 570S Spider Performance, Engine, Ride, Handling | What Car? Powering the 570S Spider is the same twin-turbocharged 3.8-litre V8 petrol engine that's used find in the Coupé and GT. 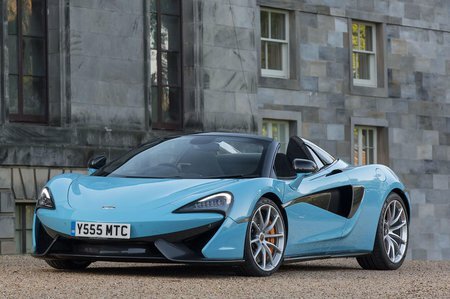 It produces a heady 562bhp and can propel the 570S Spider from 0-62mph in just 3.2sec and on to a top speed of 204mph. You might imagine that with such an impressive set of statistics, the 570S Spider would be a handful to drive. In fact, it's quite the contrary, being incredibly easy to drive yet exceptionally rewarding in equal measure. Take the seven-speed dual-clutch gearbox, for instance. In automatic mode, it does a great job of transmitting the engine’s immense thrust smoothly, while if you take control manually using the steering-wheel mounted paddles, it flits between the gears rapidly, letting you make full use of the engine’s capabilities. And what an engine it is. You’ll need to be on a track to fully explore its potential, but even at urban speeds it sounds fantastic – a sensation only enhanced by dropping the roof. That said, for the best sound around town, nothing beats the V10-engined R8 Spyder. McLaren’s standard-fit active driving dynamics system helps, too, allowing you to tailor the car’s suspension for different environments. We found it best to leave the car in Comfort mode during everyday use, while Sport firms things up if you’d prefer. 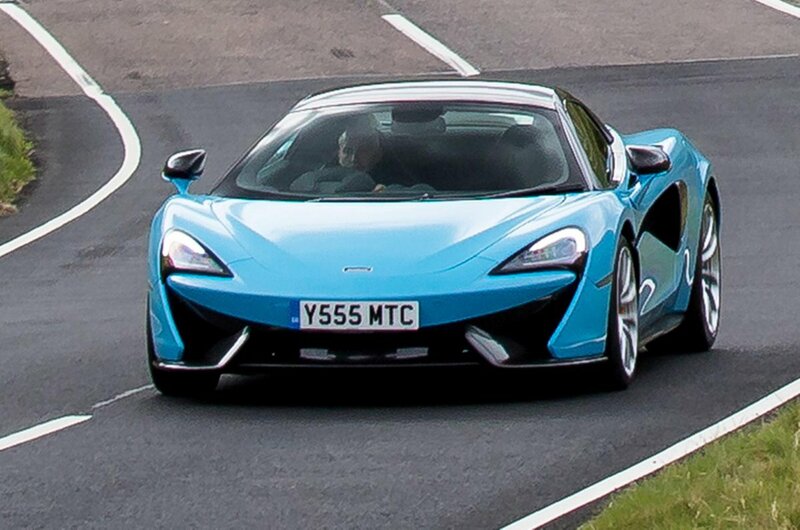 As its name suggests, Track mode is better suited to chasing lap times. The 570S Spider's steering is arguably a tad heavy around town, but it weights up beautifully at speed. It offers bundles of feedback, keeping you fed with information from the front tyres about the grip available, and utterly immerses you in the thrill of stroking the car from one corner to the next.